I’ve been researching names for something I am writing. People's names invite a kind of archaeology - as other meanings and usages are below the dirt, often making people closer to the bones of their origins than they appear. My name is Eric Maroney. Eric is anglicized from the Old Norse name Eirik, which means, roughly, Always Ruler, or Eternal Ruler. Maroney, which was Moroney until 1910, is from my Irish paternal great-grandfather. It the anglicized version of the Gaelic last name Maolruanaidh, which means follower of the saint Ruanadh, who lived in Ireland and Scotland around 700 AD or so. 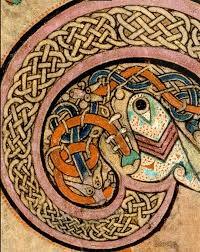 So, my names are Old Norse and Gaelic, two cultures and languages that do not even lightly brush my sense of identity. Yet here they are, the original names, malformed in the vice of anglicization - forced to assume English, modern forms. I have to pay attention, even if it feels like someone else’s identity, and some other person’s name. They are the mark of origins. Eirik Maolruanaidh - an Old Norse-Gaelic fusion - me and not me at the same time. 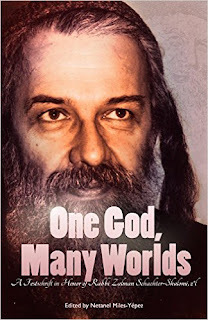 One God, Many Worlds: Teachings of a Renewed Hasidism: A Festschrift in Honor of Rabbi Zalman Schachter-Shalomi, z"l has highs and lows. The first half of the book holds the most interest. It is composed of tales told by Rabbi Zalman’s Chasidic rebbes, with a modern, updated flavor. One would imagine some contextualized material about Chassidism was also removed or altered. Overall, this part of the book is informative and inspiring. But the volume peters out somewhere in the middle. At this point, the content is less informative, and the format and themes do not belong in the book. Do we really need Matisyahu lyrics? The rest is throw away material to take up pages and little else. 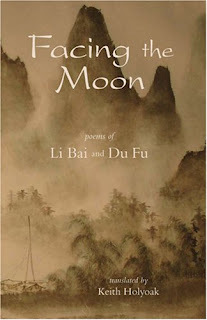 Facing the Moon: Poems of Li Bai and Du Fu, feature translations of two of China’s most celebrated poets. They had a lasting impact on Chinese poetry throughout the ages, from classical sources down to Mao Zedong. The poems are by no means simple, declarative statements of harmony with nature or the Dao - despite the fog shrouded mountains on cover. They explore wrenching existential political, and family problems. Yet one can’t help but think of mist shrouded mountains, home to hermits in huts, when reading many of these poems. For westerners, there is the deep pull of this Chinese ideal of harmony – even when it is not truly there. There is no doubt that in "The Rational Optimist: How prosperity Evolves" author Matt Ridley presents many ideas and scenarios that are food for thought. Unfortunately, I am not in a position to challenge most of his claims. I know that many consider him a dilettante who provides post-facto justifications for his class (he is English gentry, and is heavily involved in the coal industry). Ridley does have an annoying propensity to ridicule the people who have ideas which he opuses. At these times in the narrative, he loses his authorial authority. I’m not sure why a writer would wish to do this; after writing a long book, juggling around facts and history with a degree of apparent mastery, he undercuts his text with crankiness. Ridley has been skewered for his denial of climate change. He doesn’t really deny climate change here, but only our ability to accurately forecast the future. He claims, with some merit, that we are generally gloomy forecasters. 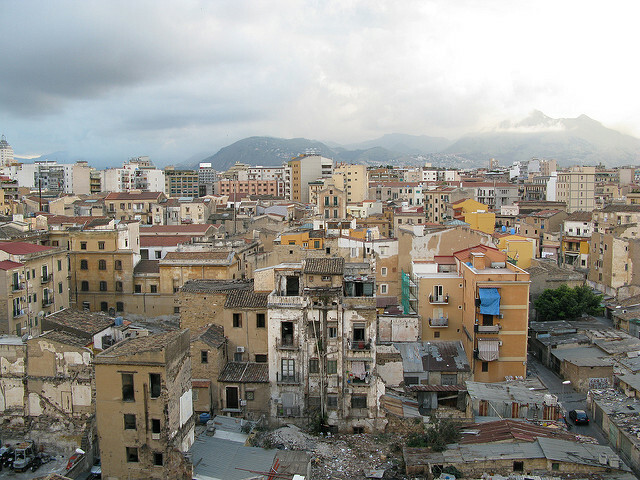 Looming disasters like food shortages due to overpopulation and acid rain destroying forests wholesale never came to fruition because forecasters both over estimated the problem, taking instances of local conditions and making it global, and did not factor in the distinctly human propensity to solve problems through technical advances. Ridley believes life is getting better for all of us. This is probably correct along certain corridors. He measures happiness according to consumption, first and foremost, then health and lifespan. Whether we are happy with our long, hale, gadget filled lives does not concern him. He holds that the marketplace will solve all of our problems, as long as government and religions, which he holds in contempt, stay out of the way. It is hard to take this premise as wholly true. 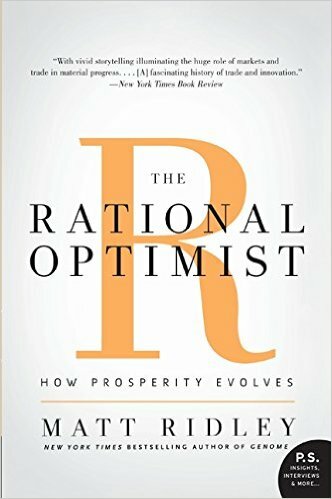 While unfettered markets can help up solve problems by developing new technologies, they are also the mechanism which accumulates wealth in the hands of the very few. Ridley does not see income inequality as a problem. Ridley makes one particularly perverse assumption: that the poor today live better Louis the fourteenth, the Sun King. Ridley places poverty on a sliding scale for the entire stretch of humanity. The poor today are better off than the poor a hundred years ago. Perhaps true, but the poor today, I would imagine, take no solace in this. Pain and deprivation are never alleviated comparatively. The Hunters is James Salter’s first novel. Based on his experience as a fighter pilot in the Korean War, it starts off conventionally, and slowly. If you have read other Salter works, there are moments of the brilliance that is to come; flashes of the later writer. So, although this work is by no means exceptional, this largely rests with my view of what Salter would later accomplish in works like Light Years and A Sport and a Past Time. 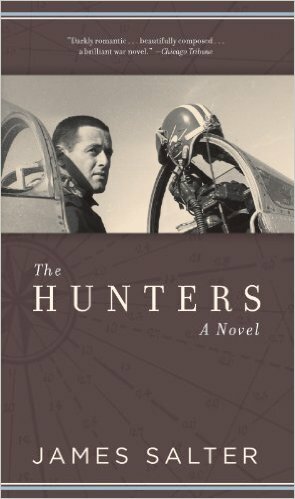 The Hunters reads like a war novel largely written for an adaptation to the big screen (and it was made into a movie). If you want to read Salter’s work, you can start with this one. If you read some of his other, later works, your palate will be tainted. 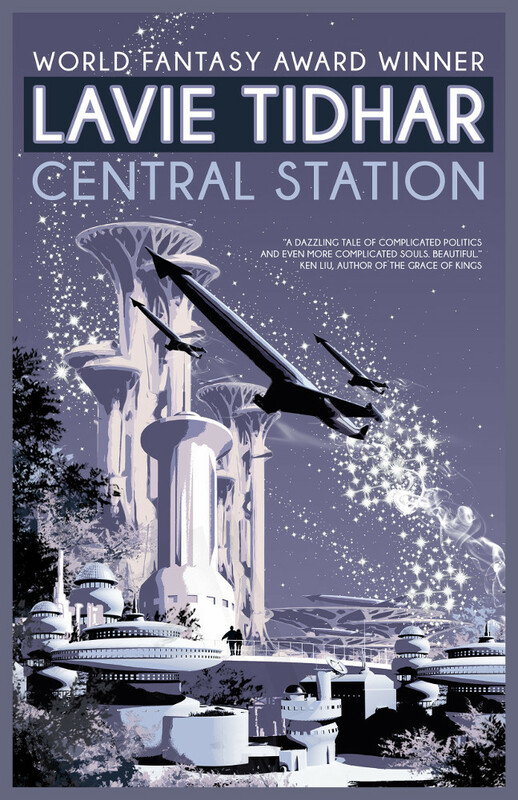 Please read my review of Central Station by Lavie Tidhar in Prick of the Spindle. 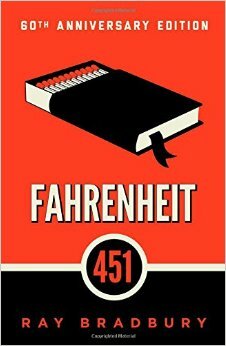 Ray Bradbury’s Fahrenheit 451 is disappointing on a number of levels. 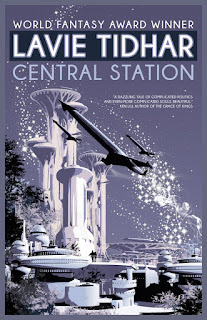 Bradbury’s characters gets bogged down in extended social and political speeches about the main topic of the novel, the place of books, and the ideal of learning and self-betterment. Of course, this is a deep topic, demanding great attention. But Bradbury falls into the didactic trap. He does not allow the story to tell itself, but forces it upon his readers. The result is a stilted tale, betraying a strong element of propaganda, to the detriment of the narrative flow. Bradbury avoided this trap in The Martian Chronicles. There, the characters play out their lives in the shadow of great events, and we see these reflected in their struggles. Fahrenheit 451 gets it the opposite way around ­– and the novel flounders. Judd and Surridge have written a comprehensive yet approachable book about the Second Boer War in The Boer War: A History. This conflict between the British coastal Cape Colony of South Africa and the two independent Boer Republics, the Transvaal, and Orange Free State, in the interior, lasted from October 1899 to October 1902. The Boers were descendants of seventeenth century Dutch and French religious dissenters who sought refuge in South Africa. So, this was a white man’s, colonial war, in a country overwhelming black. Rich gold and diamond fields were discovered in the Boer Republics, and Great Britain, eager for this wealth and to consolidate their hold on all of South Africa, sought an excuse for war. They found one, and the British initially lost many of the opening battles due to a shortage of men and equipment, and a lack of knowledge of the country (which of course the Boers knew very well). The British believed this would be a short war, and everyone would be home by Christmas. This common refrain about the quick war proved to be untrue in this case as well. The British got bogged down in sieges of important inland towns, and only when the Empire could marshal large numbers of men, over half a million, did the scales finally tip. But even with the conquest of the Transvaal and Orange Free State, hostilities did not end. The Boers, accustomed to operating in small units called commandos, began a guerrilla war against the British, extending the expensive conflict, which was increasingly unpopular at home. 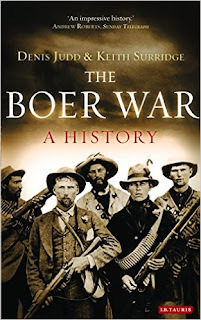 In attempts to stop Boer farmers, mostly women and children, from supplying food to commando units, the British burned Boer farms suspected of collusion, or sometimes just in the wrong location, and incarcerated Boer civilians in concentration camps. 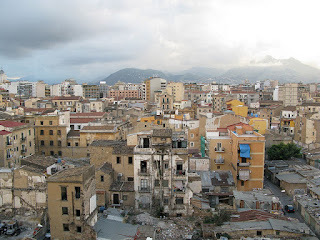 Conditions in many were deplorable, and thousands of civilians died of undernourishment and disease. The Boer War, occurring on the cusp of the twentieth century, became a marker signifying the limitation of being a Great Power. Judd and Surridge show again and again how Great Britain could not completely defeat the Boers – or only did after paying a far greater cost than they estimated. We have seen this again and again in the hundred years since the Boer War, in different places among different combatants. A smaller force, on its home turf, can either win a war against a war larger adversary, or make them pay a heavy price for their occupation.